The Austin Community College District (ACC) is one of 10 institutions nationwide selected to serve as a site for a Truth, Racial Healing & Transformation (TRHT) Campus Center. Formed by the Association of American Colleges and Universities (AAC&U), TRHT Campus Centers are part of a multi-year initiative to educate, prepare, and inspire the next generation of leaders to break down racial hierarchies. The only Texas institution and only community college on the list, ACC was selected through a competitive process in which institutions submitted plans to create positive narratives about race, identify and examine current realities of race relations in their communities, and pinpoint levers for change. Each institution will receive an initial award of $30,000 to develop and implement visionary plans that engage campus and community. Initiated in 2016 by the W.K. Kellogg Foundation, TRHT is a comprehensive, national and community-based process to plan for and bring about transformational and sustainable change, and to address the historic and contemporary effects of racism. The campus centers are supported in part by the Newman’s Own Foundation and the W.K. Kellogg Foundation. For more information about AAC&U’s TRHT initiative and resources, visit the website. 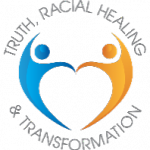 To learn more about Truth, Racial Healing & Transformation, visit http://healourcommunities.org.